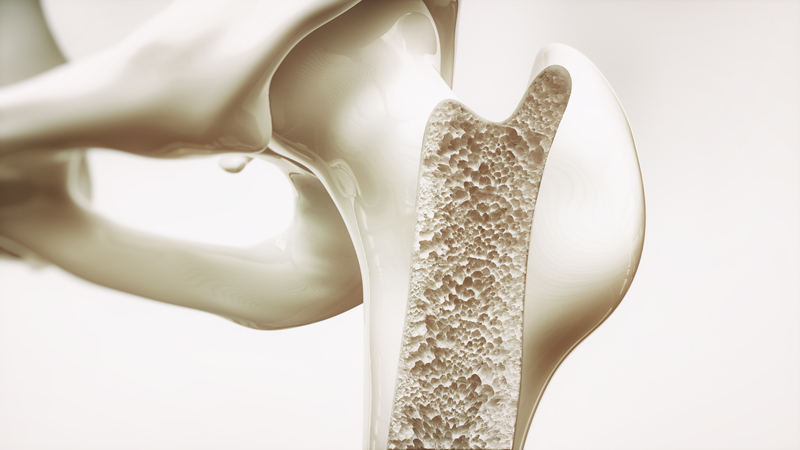 Recent studies have indicated that CBD oil for osteoporosis has positive effects on healthy bone development and maintenance. By acting upon cannabinoid receptors located in bone tissue, CBD properties have been shown to promote healthy bone cell production while inhibiting cellular waste. It helps the body strike a balance between new cellular creation and old cell removal. Osteoporosis affects over 50 million Americans, and with no developed cure, treatment options are the only way patients can relieve their symptoms. These treatments include calcium and vitamin D dietary supplements, weight training exercise, and pharmaceutical medications. However, many of these options also come with a list of scary and intimidating side-effects. Cannabidiol, or CBD, is an herbal supplement, meaning its side-effects are minimal, very short-term, and extremely manageable. As an all-natural substance, CBD is non-addictive and possesses no mind-altering ingredients. The connection between CBD and bone growth has recently suggested that it helps prevent the onset of multiple bone disease symptoms, including their progression and tissue damage. A key component of bone disease is the imbalance between new bone cell creation and old bone cell absorption. The human body is constantly creating and metabolizing bone cells, and typically new cellular production will decline with age, throwing off your body’s balance, thus leading to bone disease. CBD works on cannabinoid receptors located throughout bone tissue, specifically CB2 receptors. These structures, when activated by cannabinoids, are responsible for protecting bone cells and promoting greater cellular creation. Stop experiencing painful bone damage, and check out our online store today. We have tons of products from industry-trusted brands like Dixie Botanicals, Endoca, RSHO, and much more. No matter what symptoms you’re seeking relief for, our products are ready to help. CBD tinctures, pills, balms, and salves make great bone health supplements! Start fighting back against your symptoms and begin living a healthier life. Browse our store now!